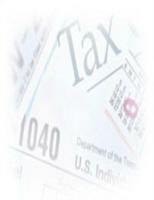 Turn yourself into a business and convert personal expenditures into allowable deductions and cut your taxes. Can It Really Be That Simple? Yes!! Well Almost. This is what I call ''The Ultimate Income and Tax Strategy'' that of earning additional income that you can keep and converting personal expenses into legitimate business expenses. To win this game, you must own your own business. It's not complicated, expensive, or difficult to do and incorporation is not necessary. To be in business, you merely declare it. By doing so, you can magically turn personal expenses into tax deductions. If you want to operate in a non-corporate format, as an individual or Sole Proprietorship, but under a different name than your own, no problem. In some states, you may have to file a "DBA" (doing business as) form with your local county clerk. Basically, you just fill out a form with your name, address and the assumed name under which you will be doing business. For example, I might be "Terry Herrell DBA My Tax Guy." Here's the best part: Your business doesn't have to make a profit for your expenses to be deductible. All you have to do is establish a "profit motive." Under the Internal Revenue Code, a "profit motive" is presumed if you earn any net income in any three out of five business years. It's recognized fact and expected that new a business probably won't make a profit in the early years. In fact, in the early years, you can insist that the IRS defer any challenge for the first five years as to the legitimacy of your business by filing Form 5213. Remember you don't have to show a profit—just a "profit motive." In one case, despite 20 years of losses, the court found a profit objective and alloId the deduction of business losses in full for one company. The case was not unusual. The test for deductibility is whether you have an actual and honest profit objective. You need not have a reasonable expectation of a profit. While the Tax Court requires a primary or dominant profit motive, the U.S. Claims Court has held that having a reasonable chance to make a profit, apart from tax considerations, will suffice. The elements of personal pleasure and recreation. That doesn't mean that just because you enjoy doing your "job" that the expenses aren't tax-deductible. The Tax Court has ruled that "suffering has never been made a prerequisite for deductibility." Moreover, even if you're employed full time elsewhere, that doesn't prevent you from having another vocation on the side. I spent many years as a full-time college professor while running a legal and accounting practice on the side. This technique works whether your business is your primary source of income or it's a sideline. That means your hobby could qualify as a business. In the process, you may cut your tax bill. For Example: one of my clients played the guitar and wrote music as a hobby. When he first came to me I discussed his hobby at great length. By the end of our first meeting I had converted his hobby into a business. He printed business cards and letterhead on his computer. Over the next two years he composed music, purchased all of the electronic equipment to play and produce his music, did the art work and cut a CD of his original compassions, set up a web site to sell his work all from his studio, the once extra bedroom. He gave his hobby the image and appearance of a business and demonstrated a Real Profit Motive. He wanted to make money. This client earned a salary from his primary job of $60,000 a year. When his new business expenses Ire deducted from the business income and balanced against his salaried income his taxes Int from over $14,000 to less than $100. To qualify as business deductions, your expenses must be: Ordinary and necessary –defined by the courts and the IRS as "reasonable and customary," paid or incurred during the taxable year, and connected with the conduct of a trade or business. The term "reasonable and customary" depends on your specific business and the business customs in your locale. The expenses don't have to necessarily be reasonable and customary to you, but simply to your particular trade or industry. There are innumerable cases of "hobbies" converted into "businesses" with expenses alloId. In one case, a husband and wife produced, exhibited and sold their sculptured works. Their expenses were considered ordinary and necessary business expenses. In another case, a coal miner operated a kennel for bird dogs. For 11 consecutive years, he lost money. But the courts allowed the deductions and the losses because there was a profit objective. In a more recent case, a high school teacher's golfing activity was declared an activity with a profit motive, so he could legally deduct what once was his "hobby." Focus on your profit-making motive. Remember "it's not what you pay in taxes that counts, it's what you keep in your pocket".